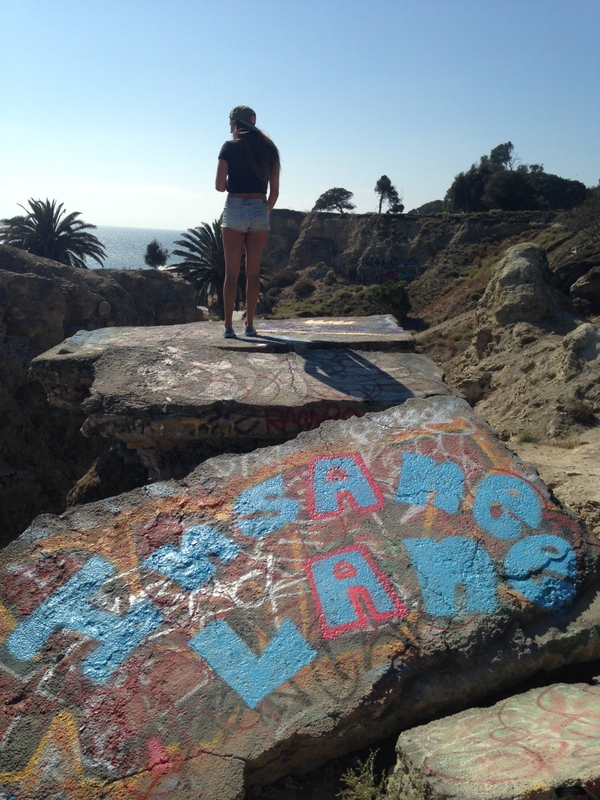 There is a cool place up in San Pedro where spray painting is basically legal. 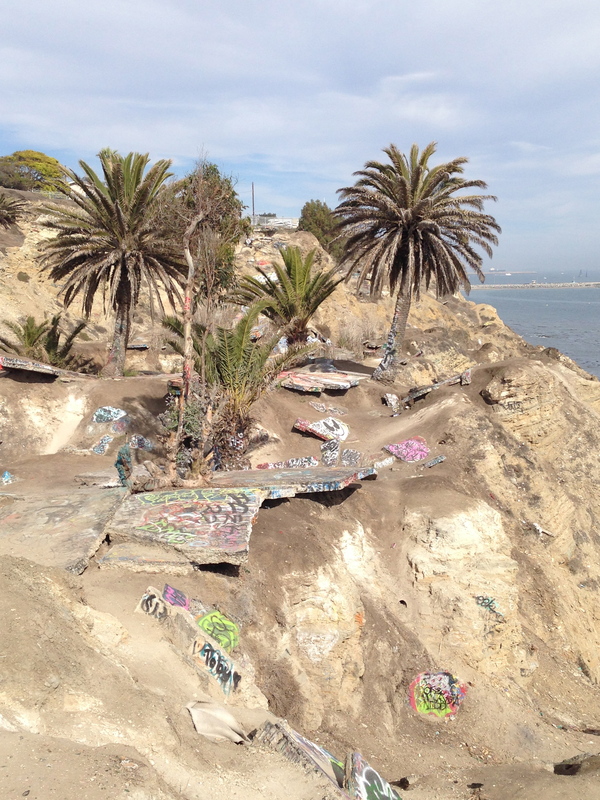 This place is known as Sunken City. 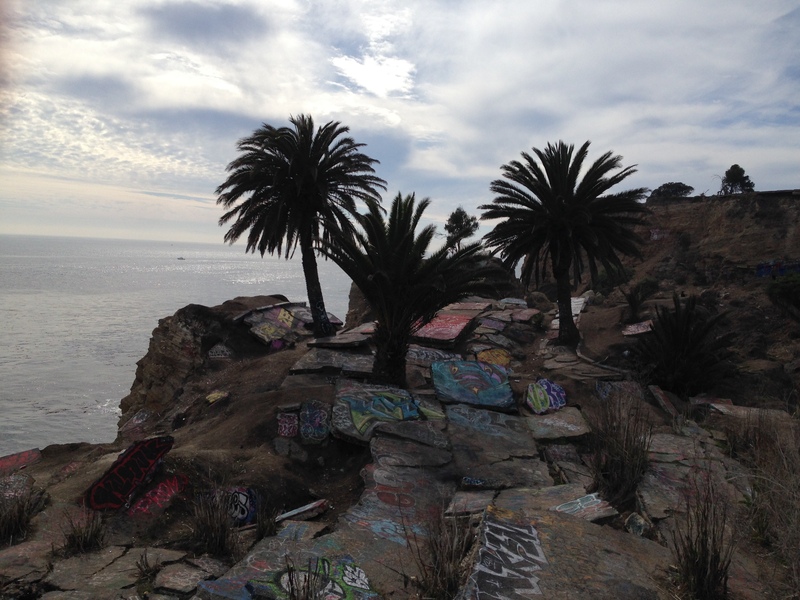 Sunken City is a fun place to hang out during the day when the weather is right if you are looking to do something new and adventurous. Many great graffiti artists use the broken up pieces of cement as a canvas to express themselves. 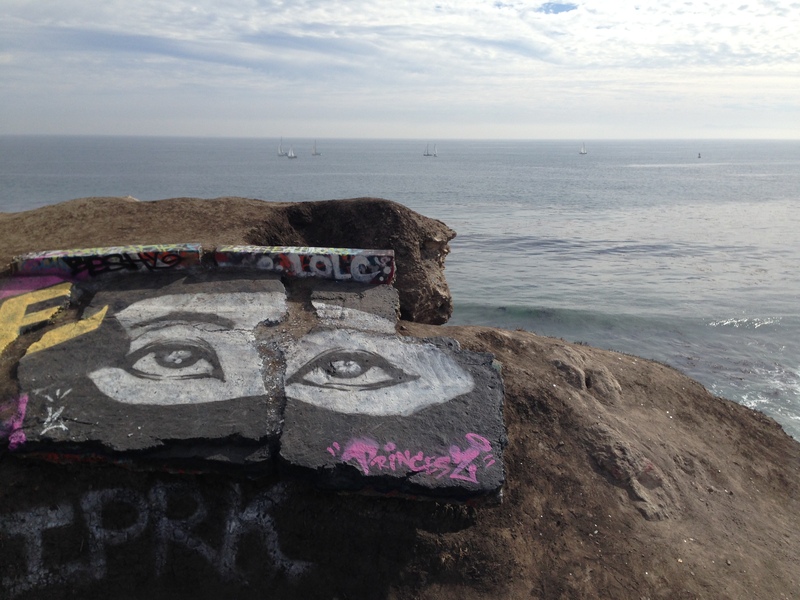 To get to sunken city you take Gaffey (the street) towards the coast. You go as far as you can and then you hit a stop sign (you pass the Korean Bell which will be on your right) you make a left at it. Then at the next stop sign you make a right and look for parking on a culdasac. You follow the path from the culdasac down to the fence and there will be an opening and you’re in! Wear closed toed shoes and bring a can of spray paint and you’ll have an awesome time!